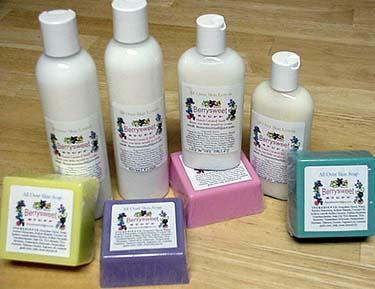 Lotions are custom made to order. Please allow 4-5 additional days for delivery. All body butters are handmade and vegetarian. After much research and testing, I have finally answered numerous requests for a highly concentrated cream for EXTREMELY dry areas of the body. Women typically experience severe dryness on the elbows, heels, breasts, and bottoms of feet. This handmade product is great for those troubled areas. You can even use this body butter at night before bed on your hands. This is a potent product that is allows moisture to be replenished in dry areas. A little goes a long way. This luxurious whipped butter is enriched with high quality imported shea butter, rich emollients, and natural bees wax. Like my fabulous lotions, this product contains NO pointless coloring as well. (Though perfectly safe, if you do not intend to wash it off, colors have no need to be in any product.) This whipped body butter is 98% PURE because natural is the only way to go for the most effective results. It also must be mentioned that both men and women can use this wonderful butter and reap from its benefits. 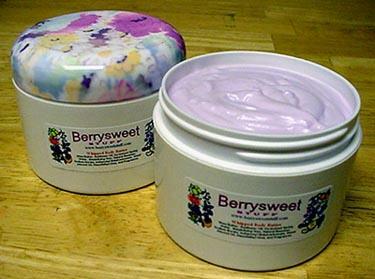 Body Butters $7.00 per handmade 4 ounce jar. THIS FEELS JUST AS GOOD AS IT LOOKS! It is just so perfect for my customers that love wonderful flowery scents. 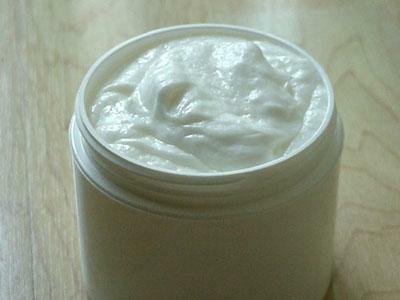 This handmade product is great for those troubled areas as well as for added moisture anywhere that your skin needs it. This is a product that allows moisture to be replenished to those dry areas. Use sparingly or generously in whatever way that you wish. Your skin will adore you after using this product! This luxurious delicate pink whipped butter is enriched with high quality imported shea butter, rich emollients, and a TON of natural bees wax. You will receive a large 8 ounce jar. FLOWER PETALS is a magnificent and unique blend that is bursting with fresh lilies of the valley, peonies, tulips, freesia, water lilies, and subtle garden notes. This whipped body butter is 98% PURE because natural is the only way to go for the most effective results. This magnificent cream is bursting with a completely natural, delectable, "chocolatey" cocoa butter scent. This thick, handmade, buttery-colored cream is enriched with SO MUCH Cocoa Butter, Shea Butter, and Mango butter. Vitamin E, Jojoba Oil, Sun Flower Oil, and Organic Sweet Almond oil are great moisturizing additions to this luxurious vegetarian cream. This is a FANTASTIC, long lasting skin softener, moisturizer, and conditioner. 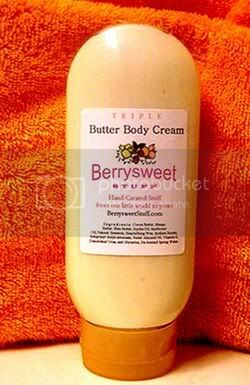 This luscious THICK cream is ideal for both genders. You will experience great results quickly, and a little goes a long way! Copyright 2018 Berrysweet Stuff. All rights reserved.